“We have to plan our cities for all, including the disabled, the old, children, but also babies and those who care for them” – this is how Heather Thompson, Interim CEO of the Institute for Transportation and Development Policy (ITDP), chose to end MOBILIZE Dar es Salaam on the 28th of June 2018. 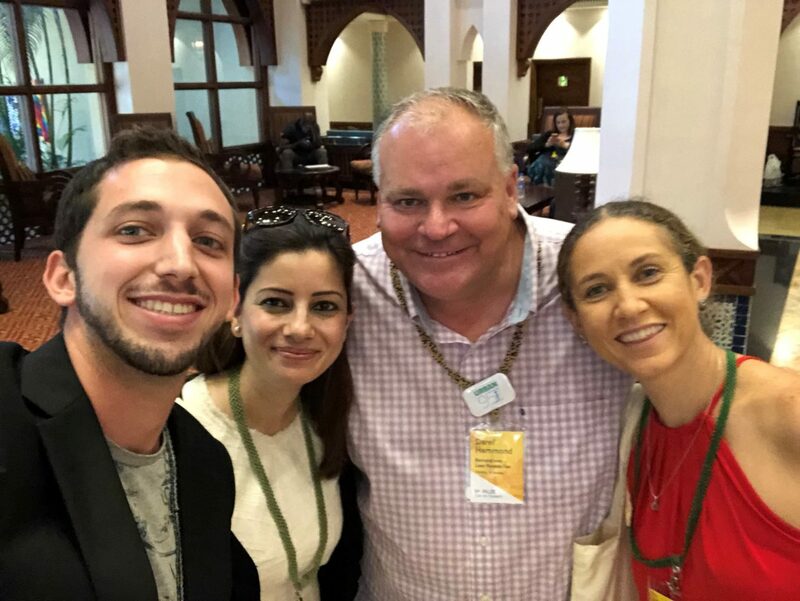 For the Bernard van Leer Foundation’s delegation there, this was one of the many little clues that our presence at this yearly international conference on sustainable mobility was a resounding success. MOBILIZE is a conference on sustainable mobility organised by ITDP and the Volvo Research and Education Foundation (VREF), this year with the support of the Transforming Urban Mobility Initiative (TUMI), the Barr Foundation, UN Environment and the Bernard van Leer Foundation. The event was hosted in Dar-es-Salaam, Tanzania, winner of the 2018 Sustainable Transport Award (STA), and the topic was “Making Space for Mobility in Booming Cities”. Four staff members of the Bernard van Leer Foundation were present: Cecilia Vaca Jones, Programme Director; Rushda Majeed, India Representative; Darell Hammond, Senior Advisor for Urban95 and myself, Research Assistant for Urban95. We all shared the impression that the mix of participants was particularly efficient. 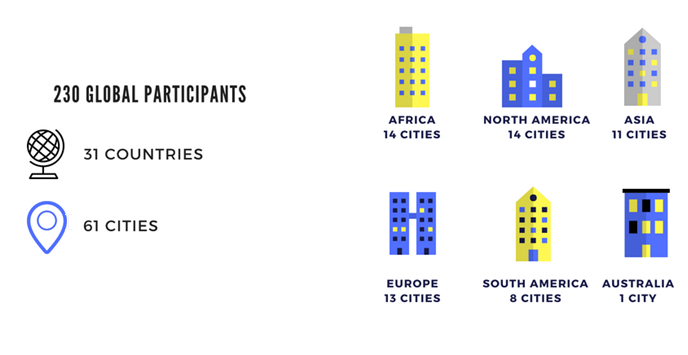 Apart from a strong representation of Latin American, African and Asian cities, the conference brought together members of the NGO sector (39%), government (26%), academia (21%) and other foundations and the private sector (14%). Most of the participants were versed in intersectoral work and were therefore very responsive to and interested in Urban95’s approach. 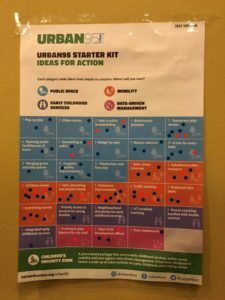 We were pleasantly surprised to find a common focus on down-to-earth, evidence-based, replicable and scalable solutions for mobility in cities of the Global South. We were also happy to see cross-agency collaboration at city level coming up as a recurring topic. Urban95’s success at MOBILIZE Dar-es-Salaam stemmed from both a good fit with most participants’ set of values and goals for their own work – revolving around equity, access and sustainability – and from a strategy of saturation of Urban95 throughout the programme. The first day opened with an Urban95: Mobility for Young Children workshop that I led with support from Darell. 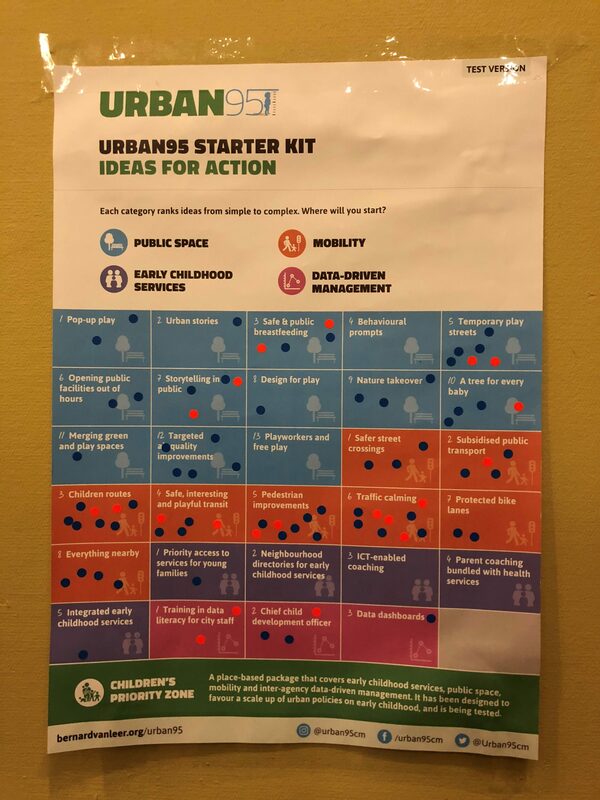 We presented the Urban95 Starter Kit – for the first time – and led a discussion around it. The workshop attracted 58 participants (almost double the maximum capacity of 30) and was invaluable to identify improvements for the second version. The Urban95 Starter Kit was received with enthusiasm, all printed copies were taken, and more were requested. The second day included a break-out session on Urban Mobility that Improves Child Health, where Rushda showcased a street redesign project in Bhubaneswar and the crezco con mi barrio pilot in Bogotá. All speakers mentioned the need to include babies and toddlers and referenced Urban95. The third day’s morning plenary on Advancing Inclusive City Design from Fringe to Mainstream was moderated by Cecilia and was cited as a ‘favourite’ moment of the conference by a significant portion of the participants. 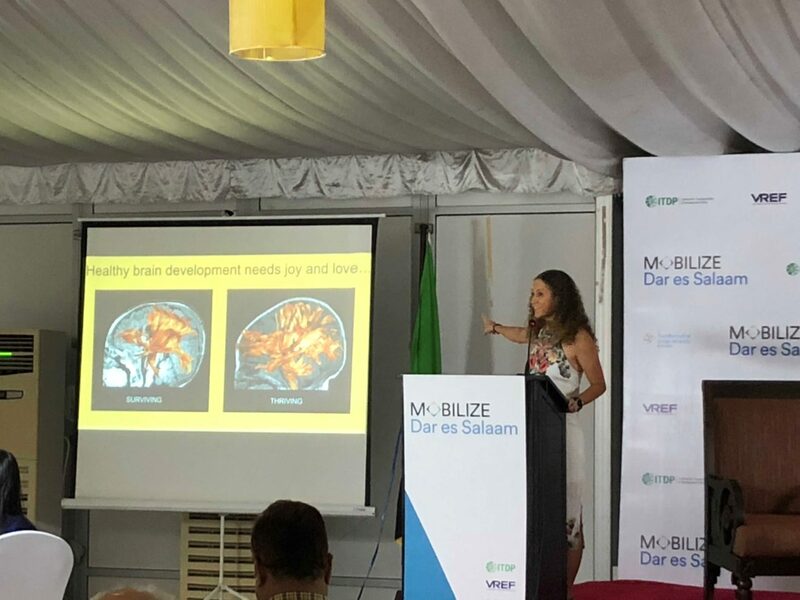 Cecilia presented the brain science underlying the importance of planning for young children, and babies and toddlers were integrated in the three panel speakers’ presentations from India, Mexico and Kenya. In addition to our on-stage presence on every single day, Urban95 and the Starter Kit were mentioned by ITDP organisers on several occasions, and the Urban95 Starter Kit was made available and referenced on the event app and linked to in the official thank you email. A Mobility for Young Children Brief developed by Patrin and myself was included in every participant’s welcome pack. Last but not least, the Bernard van Leer Foundation sponsored two of the key speakers: Eva Kail, planner for the city of Vienna, Austria, and pioneer of gender-sensitive planning; and Carolina Tohá, former mayor of Santiago, Chile. They both mentioned the importance of planning for families and caregivers both on-stage and through their extensive discussions. In addition to saturating the Urban95 message throughout the official programme, having a team that included management, programme and research staff as well as our Senior Advisor enabled us to meaningfully connect to all types of participants, whether high-ranking government officials, implementers or researchers. Gender is one of the best lens to talk about mobility for babies and toddlers. We found it easier to integrate early childhood elements in gender-sensitive planning than in child-friendly planning. There is an existing and extensive discussion around how women move in cities. Women and men have different mobility patterns, mainly due to child-caring activities. Concepts such as ‘mobility of care’ and gender-sensitive perceptions of safety are being studied, and data is being gathered. Walkability and public transport are key to equitable mobility. Women (and therefore the majority of caregivers) disproportionately use walking and buses as means of transport. The concept of “complete streets” is key to planning for the re-allocation of space from cars to public transport and active mobility. Parked cars are among the biggest risks to children. They block the sidewalk, block visibility of children, caregivers and drivers, and occupy public space. Informal transport is a big part of mobility in developing cities and should be included in our vision of mobility and access to services. In Sub-Saharan Africa, road accidents are the main focus of action regarding children and mobility. Being able to bring forward the Starter Kit as a packaged and finalised proposal, supported by concrete examples, was key to our success. People could react to it, and it enabled in-depth conversations about Urban95 and its potential applications and challenges. To me, this is what made the difference between MOBILIZE in Dar-es-Salaam and the previous urban-related events we contributed to. Even as the conference took place in Tanzania, a country where the Bernard van Leer Foundation does not currently invest, we achieved all of our goals: (1) learning about mobility, (2) spreading the Urban95 concept, (3) connecting with African networks in the mobility/urban sector and (4) getting to know ITDP better. Even more excitingly, next year’s MOBILIZE conference will take place in Fortaleza. Indeed, Brazil is a country where the Bernard van Leer Foundation has been investing since 1973, and which is currently intensely contributing to the development of the Urban95 initiative, and we’re excited to see what might come out of next year’s conference.